I have been happily immersed in the lives of the four different Archibald Fergusons. We follow each version through his childhood, teen years, and early 20's with the families, friends, sports, films, and the history of the 50's & 60's intricately intertwined. The author shares his inner thoughts on the writing process through each Archie's love of reading and writing. My copy is underlined and dog eared because I want to refer back to it in the future as so much is beautifully phrased, thoughtful, and wise. 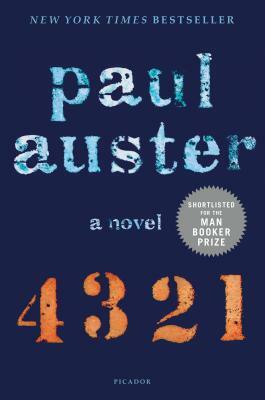 Dear Mr. Auster, continue your journey and give me another 866 pages, please!